Beverly Francis has b een dancing since 1974 and from the very beginning was engaged by the beauty of the music and dance patterns and the sociability of dancing with a partner and a whole set. Her earliest days of dancing included the teaching of May Gadd, Pat Shaw, Genny Shimer, Jim Morrison, Sue Salmons and Christine Helwig, who were the great teachers of the times. Along with English and American country dance, she was involved in morris and long sword dance for more than 25 years, with Ring o’ Bells Morris and New World Sword. She was part of the first New York callers apprentice program in 1980 and since then has called both English and American dances in NYC, across the country and in Canada. She has been on the staff at several CDSS weeks at Pinewoods Camp. Beverly has been the MC at many a New York Playford Ball as well as balls for the Jane Austen Society of North America. Dorothy Cummings has been participating in English county dance since 1997, when the New York Times ran Linda Wolfe’s article “Dancing in Jane Austen’s Footsteps.” She benefited from a calling apprenticeship at CDNY in 2009-2012 and leads ECD at CDNY, the NYC metro area, the Hudson Valley, and further afield. She is fascinated by the variety of ways that people learn and motivated to ease the learning process. To dance well, people need to keep dancing. With crisp diction, lively musicality, and personal warmth, Dorothy promotes an encouraging and rewarding ECD experience to keep dancers coming back. Gene Murrow has been an English country dancer and musician since 1965, and has taught and called at clubs, workshops, festivals, and balls throughout the United States as well as England, Europe, Canada, and Japan. He has attended Pinewoods Camp as a CDSS staff member almost every year since 1965, and has chaired Early Music Week, English Dance Week, and English/American Dance weeks several times each. In 1996 he organized the Amherst Assembly, a week-long conference devoted to a scholarly and practical look at the origins and evolution of the country dance. He was invited to present a paper at the 2001 EFDSS/Dolmetsch Historical Dance Society conference in London tracing the history of English country dancing in America, and in 2004 he was honored as the featured country dance caller and teacher at the gala 50th anniversary of England’s Sidmouth International Festival. He has toured England several times for calling engagements, has appeared at the Eastbourne, Lichfield, Whitby, and Southam Festivals,. In the fall of 2006, he toured Japan for two weeks teaching English dance workshops, where he returned in 2011 to lead the Folk Dance Federation of Japan national workshop. He is author of a resource guide and training curriculum on musicianship for English country dance teachers—the basis of a course offered at the Pinewoods, Mendocino, and Berea country dance workshops in the United States. As a dance musician, he has made four recordings: “Measured Obsession” (music for dances by Fried Herman), and “Old Friends,” “New Friends,” and “Band of Friends” (for dances by Gary Roodman). He is also the Producer of the series of English dance recordings featuring the Boston-based band Bare Necessities, now numbering 14 discs. 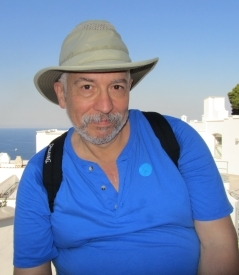 A professionally-trained musician, Gene is the founder and Executive Director of Gotham Early Music Scene, a service and advocacy organization for early music in New York City, and served on the Board of Directors of Early Music America. 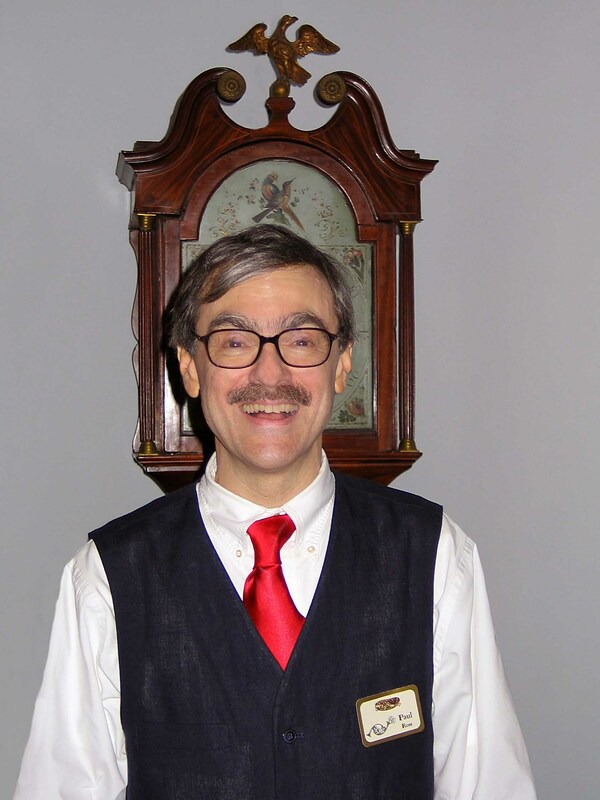 He has also served on the Board of the Country Dance and Song Society of America, was President of the American Recorder Society, and serves as a jury/panel member for the New York City Department of Cultural Affairs. Helen was first expose d to traditional Country Dancing in 1990, at the British Club in Thailand, where she experienced the power of community dance to draw strangers together. She started leading English dance in Michigan in the mid-1990s, an d graduated from CD*NY’s apprenticeship program in 2012. Now calling mainly in the New York metro area, Helen’s programs share her delight with the variety of English country dance — from sublime to playful — and encourage participants to enjoy themselves while building their competence and confidence. In addition to leading dances for adults, Helen also leads family dances, with age-appropriate programming. 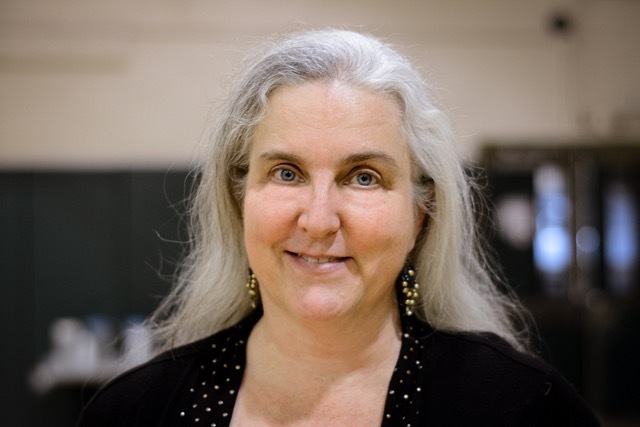 She also has played music for English and contra dances for more than 20 years, in the tri-state area and beyond. Margaret Bary, a lifelong dancer and dance educator, completed the ECD callers apprenticeship program and joined the roster of CDNY callers in 2016. 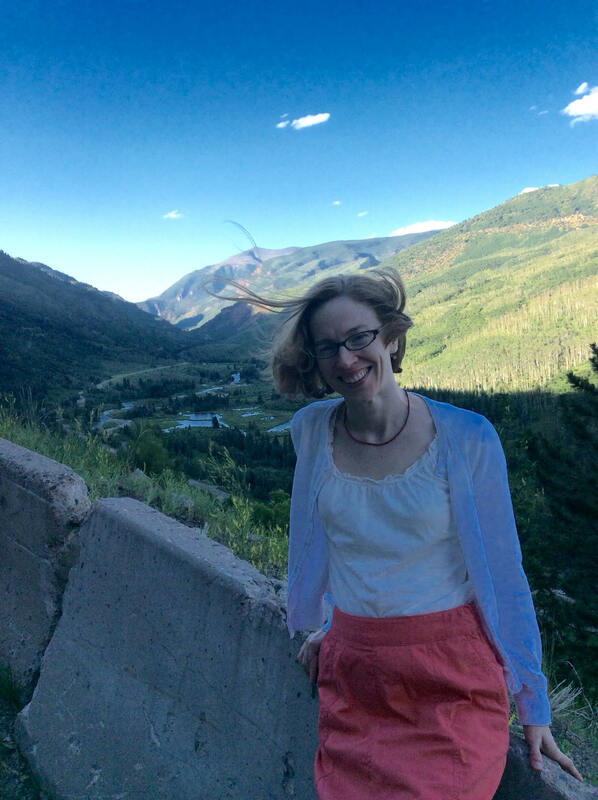 An avid English Country and Contra dancer, Margaret has a background in Modern Dance, holds an MFA in Dance from Sarah Lawrence, and is a Certified Movement Analyst. She is a Dance Specialist and the Performing Arts Chair at Brooklyn Friends School where she incorporates folk and sword dance into an innovative curriculum that includes body awareness, dance technique, improvisation, composition and cultural dance forms. An experienced community dance caller, Margaret founded an annual family folk dance at her school, and calls for the Brooklyn Contra Family Dance and other venues. 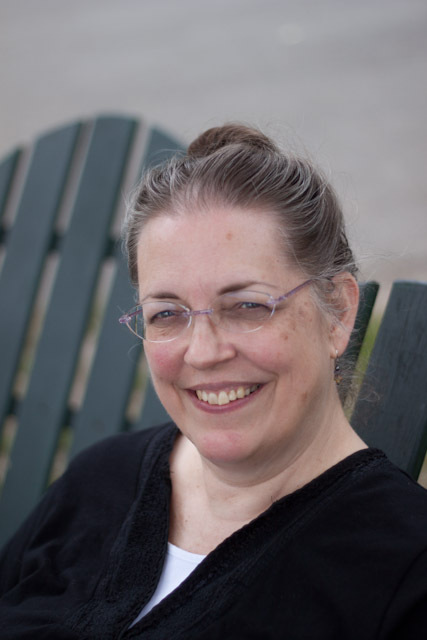 Margaret served as Program Director of CDSS Campers’ Week at Pinewoods from 2014-2016, and is active on the steering committee of Pourparler, a national gathering of folk dance teachers. As a member of Half Moon Sword, an English sword dance team, she hosts the NY Sword Dance Festival, and performs locally as well as at events such as the New England Folk Festival, the Marlboro Ale and DART (Dancing America Rapper Tournament). Underlying all of her work with children and adults, Margaret believes that participatory dance experiences foster joy and self-expression, connect us with one another and bring us together as a community. Orly Krasner teaches regularly at Country Dance*New York and Country Dancers of Westchester. She discovered English Country Dancing while writing her doctoral dissertation on a totally unrelated musical topic. Intrigued by the idea of music made visible, she soon began to choreograph, and then apprenticed as a dance teacher under Fried de Metz Herman, Paul Ross, Beverly Francis, and Gene Murrow. In 2011, Gene invited her to join him in Japan as guests of the National Federation of Teachers of Folk Dance; their workshops began just in time for them to experience the earthquake! Orly has also called at the Lichfield (UK) Folk Festival (where she returns in 2017) and appears as a guest teacher for dances, festivals, and special events throughout the USA, and Canada. Celebrations, Orly’s book of dances, will be available soon; the CD, recorded by Reunion, is already out. Orly also dabbles in baroque dance but remains a committed ECD dance gypsy! In “real” life, Orly holds a Ph.D. in Musicology, and when she isn’t dancing, she teaches music history and theory at the City College of New York. Paul Ross has been dancing English country dance since 1971, when he joined the University of Chicago Country Dancers under the direction of Pat Talbot, an inspired teacher and leader, who taught English and Scottish country dancing, morris, gamalpolska, and hambo. In 1981 Paul moved to New York City. His teachers were the master callers of those years: Genny Shimer, Christine Helwig, Fried Herman, Sue Salmons, Bertha Hatvary, and others, and he had the privilege of dancing to Phil Merrill’s and Marshall Baron’s playing, both legendary musicians of English country dancing. In 1993, Paul became an apprentice caller in Westchester, studying under Christine Helwig and Fried Herman. Fried, in particular, was the major influence on Paul’s dancing and on his understanding and vision of what ECD is. To help preserve that vision and the dances that Fried created Paul founded The Lenox Assembly in Lenox, MA., in 2009, a dance weekend dedicated to the art of dancing well. Paul currently teaches regularly in White Plains, NY, with the Country Dancers of Westchester and in New York with CD*NY. Tom Amessé has been a dance leader for over 15 years in New York City. He is well known for his entertaining and relaxed demeanor and for his ability to make complicated figures seem easy. He has been the MC of the New York Playford Ball four times. Across the Hudson in Ridgewood, New Jersey, he leads their annual “Play-Ful” ball. He has also taught ECD throughout the northeastern United States at venues including Boston and Amherst, Massachusetts, Philadelphia, PA, Washington, DC, Burlington Vermont and Albany, NY. 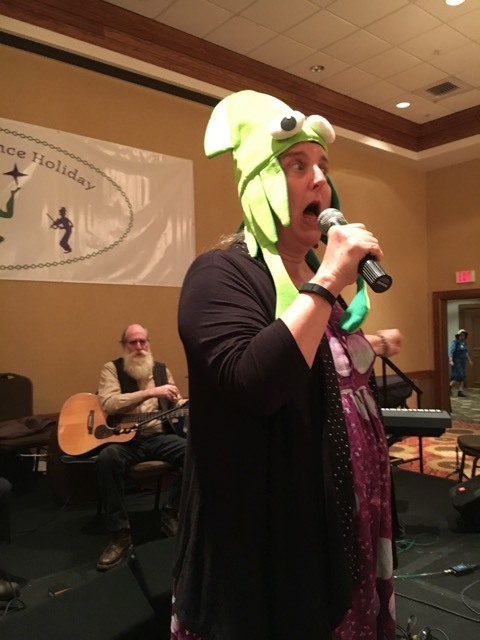 Tom has MC’d the Firefly Weekend at the Great Camp Sagamore in the Adirondacks, and has led sessions at the “Dance Flurry” in Saratoga Springs, NY, the 92nd Street Y, Harknass Dance Center in New York City, the Colonial Ball in Trenton, NJ and the Elm City Assembly in New Haven, Ct. He has MC’d the Binghamton Ball and the Rochester ball several times. Tom, an internationally recognized caller, has also led dances in Canada, Wales and at the Litchfield Folk Festival in England. In the winter of 2015, he had made a tour of California, Arizona and South Carolina where he called many English Country and contra dances over a three-month period. 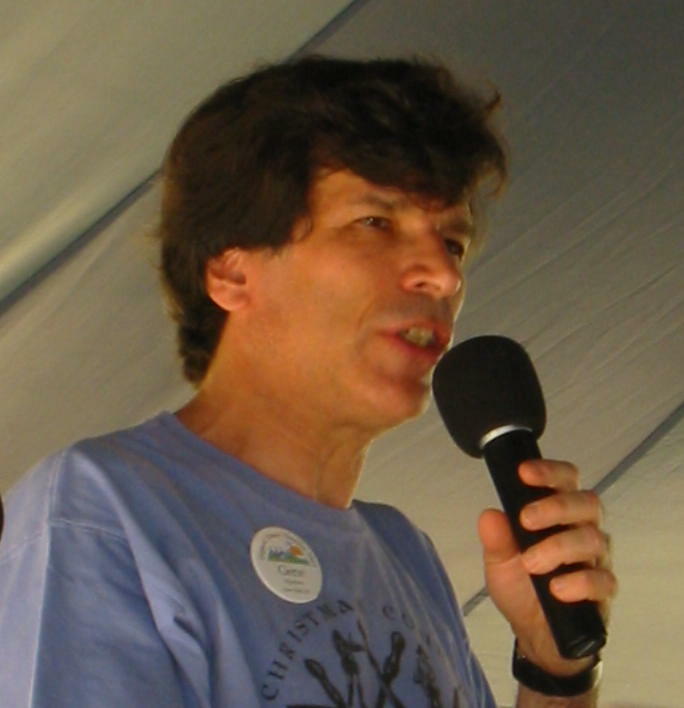 Tom’s future gigs include the Fandango weekend in Atlanta Georgia, Across the Lakes in Burlington Vermont and his fourth appearance as MC of the Rochester Ball. He’s looking forward to having his favorite traveling companion, best friend and random assistant accompany him on these journeys. Tom once won an international story-telling contest on a trip to Wales. You might also find him calling Contra dances and Square dances, and playing his fiddle at Irish sessions.